Justin Sullivan/Getty ImagesFacebook founder and CEO Mark Zuckerberg delivers the opening keynote address at the f8 Developer Conference April 21, 2010 in San Francisco, California. 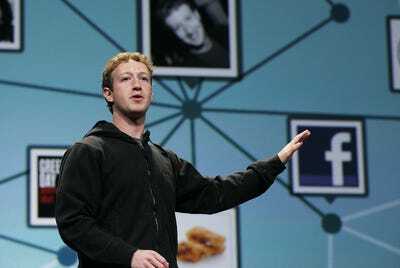 Zuckerberg kicked off the the one day conference for developers that features breakout sessions on the future of social technologies. A Credit Suisse analyst believes the data breach debacle that sent Facebook down Monday is already baked into the stock. The analyst said Facebook has already taken steps to remedy privacy concerns. He maintained his price target of $US240 per share. Watch Facebook’s stock move in real time here. 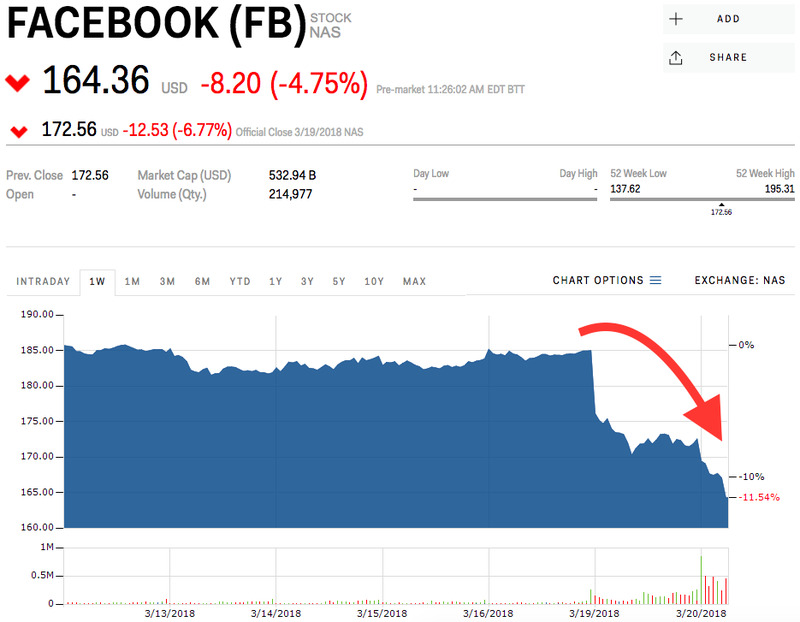 Facebook shares have gotten whacked, down more than 11% since news broke over the weekend that Cambridge Analytica accessed data from 50 million Facebook users without their permission. And that’s just the start of Facebook’s problems. The company has been lambasted by public officials and others for spreading false stories, and for allowing Russian-linked groups to use its platform to potentially sway voters during the 2016 election. But one Wall Street analyst says fear not, the risks are already baked in. “We remain buyers, as we believe the current 23x P/E multiple on GAAP NTM EPS already reflects risks from the aforementioned unknowns,” Credit Suisse analysts Stephen Ju and Philip Wang wrote in a note to clients on Tuesday. The duo said they are evaluating Facebook based on the lower end of Credit Suisse’s trading projections in a downside scenario. That projection accounts for investors’ concerns around lower revenue growth after the company moved to slow down ad load and thereby, inventory growth, the lack of consumer traction of late, and the weaker dollar. This is in addition to the torrent of negative news coverage the company has already received. Moreover, they called the recent revelations “backwards-looking,” and said the bad news was already priced in. Even before the data breach came to a head, Facebook has begun to remedy the issues by making changes to its privacy policies, implementing stricter standards for third-party applications, and doubling the headcount of employees who work to protect user security. The analysts admit the company will still face even more challenges in the coming weeks. Facebook’s senior executives have been summoned to account for the platform’s privacy issues in hearings with UK lawmakers, while the US Federal Trade Commission is launching its own investigation into the platform’s use of people’s personal data. Yet Ju and Wang believe these issues are not enough to make any changes to their estimates. They maintained their $US240 price target and their “Buy” rating. Shares of Facebook were down 4.75% on Tuesday morning at $US164.36 per share. It was trading down 9.5% for the year. Read more about how Facebook’s data privacy woes are affecting the business of other tech giants.